Central Florida Real Estate and Mortgage Solutions without the "BULL". 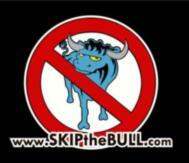 www.SKIPtheBULL.com : False Advertising HURTING the REAL ESTATE MARKET!!! While relaxing this sunny Sunday morning, a commercial from Experian® came on stating that you may need a 720 credit score to get a loan. Well those of us in the Real Estate and Mortgage Business know that is far from being true. In fact most of my clients over the past 6 months have scores between 620 and 680 and have all closed without a problem! If you see other false advertising or misrepresentation of facts, please post a log. Maybe if we complain enough they will stop? I haven't seen this commercial....but would agree with you...most of my clients did not have credit scores that high when they got their loans! This is a hot topic for me right now. It's incredible and appalling how some agents that are clueless when it comes to Short Sales boast of hundreds of transactions and high closing ratios - neither metric being supported by the MLS.